We recently came into possession of a complete set of Israel Regardie’s Tattva cards, as willed to us from the late Donald Michael Kraig. A small sample these cards can be seen here. 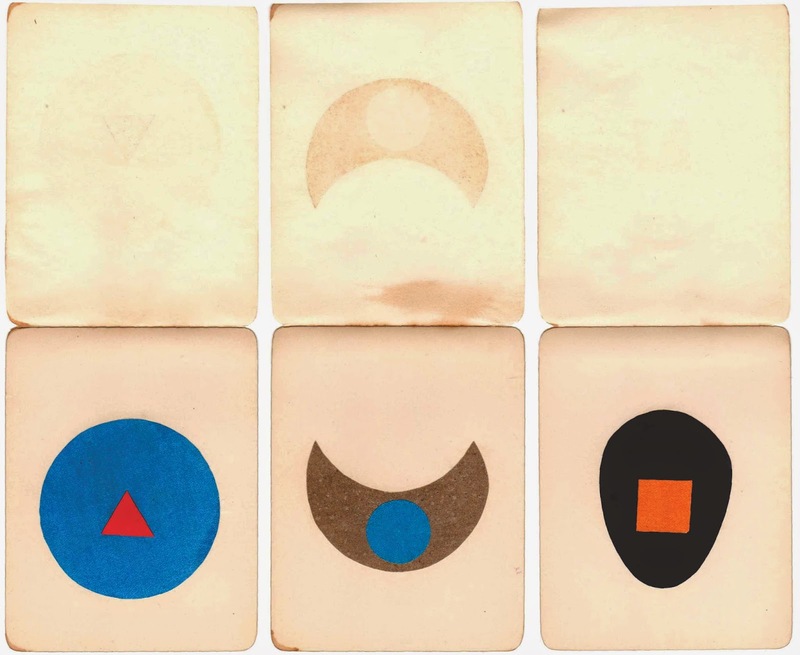 The cards are 3.5” by 4.5” and are constructed of colored paper glued onto white card stock. Each is covered by a thin layer of copy paper which is folded and glued to the top of the card backs. Divine and angelic correspondences have been written on the back of each card in Regardie’s hand. These, to the best of my knowledge, were Israel Regardie’s own Tatva cards, made by him for his personal use. He gave them to me when I was a director at Helios Book Service (Publications) some 20/25 years ago when we were contemplating reproducing them for artwork in a little book of his essays entitled “The Art and Meaning of Magic.” I am hereby making a gift of them to Donald Michael Kraig as a genuine student of the tradition as I think Regardie would have liked it. We are honored to have these cards as reminders of two magical teachers who left us too soon, and who were dearly loved by Golden Dawn magicians the world over. Let all the Nature of the world entertain the hearing of this Hymn. Be opened, O Earth, and let all the Treasure of the Rain be opened. You Trees tremble not, for I will sing, and praise the Lord of the Creation, and the All, and the One. ye Winds stand still, and let the immortal Circle of God, receive these words. to the use, and nourishment of all things, or men. That commanded the fire to shine for every action, both to Gods, and Men. 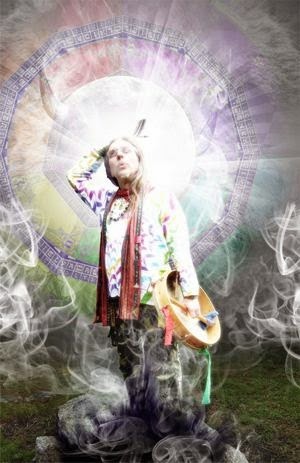 the Creator of all Nature. This is he, that is the Eye of the Mind, and Will accept the praise of my Powers. O all ye Powers that are in me, praise the One, and the All. Sing together with my Will, all you Powers that are in me. and rejoice in the Joy of the Mind. sing praise my Righteousness by me; praise that which is righteous. O Communion which is in me, praise the All. By me the Truth sings praise to the Truth, the Good praiseth the Good. O Life, O Light from us, unto you comes this praise and thanksgiving. I give thanks unto thee, O Father, the operation or act of my Powers. I give thanks unto thee, O God, the Power of my oper­ations. receive by me this reasonable Sacrifice in words. they fulfill thy Will; thy Will and Counsel is from thee unto thee. O All, receive a reasonable Sacrifice from all things. by the Fire, by the Air, by the Earth, by the Water, by the Spirit, by thy Creatures. (Adapted from a prayer entitled "The Secret Song: The Holy Speech" from the Divine Pymander of Hermes Mercurius Trismegistus. Published in The Essential Golden Dawn. 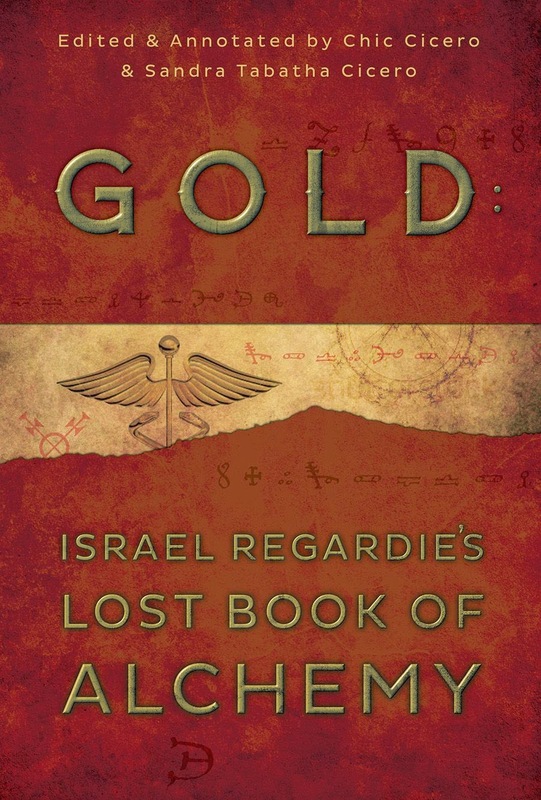 In this newly rediscovered text, famed occultist Israel Regardie sheds light on the psychological/spiritual meaning behind the symbols and metaphors of alchemy. 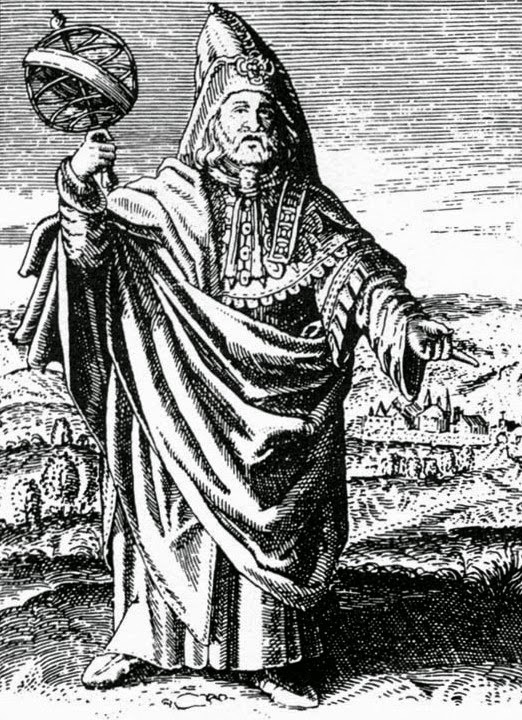 To this end, he presents an important seventeenth century alchemical treatise for analysis, "The True Book of The Learned Greek Abbot Synesius Taken out of The Emperor's Library," written by an anonymous alchemist. As in his previous book on alchemy (The Philosopher's Stone), Regardie discusses "The True Book of Synesius" in the language of Jungian psychology, magnetism, and hypnosis. But here the discussion is more specific, with Regardie citing his own unique experiences as a therapist and a healer. In Gold, Regardie explores the similarities between alchemical theory, Taoist philosophy, yoga, hypnosis, Zen Buddhism, and experiments with the human aura. Fully edited and annotated by Chic and Sandra Tabatha Cicero, Gold is the first new book by Regardie published in decades and includes two important appendices. First, Regardie talks about the practical use of the concepts, and the Ciceros reveal the earliest version of Regardie's The Art of True Healing, straight from the author's personal advance copy, complete with Regardie's own corrections penciled into the margins. Available in early Spring 2015 from Llewellyn Publications.